Filigrees : Ezel Findings: Jewelry making supplies, jewelry findings, clasps, bails and more! We are very pleased to introduce our new filigrees, which we are adding to our website as they arrive. 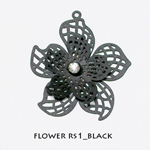 We will have new designs, new 3 dimensional filigrees, and filigrees with rhinestones. Please visit our website often to view our latest additions. We hope you’ll enjoy these new filigrees as much as we enjoy bringing them to you.